Eurocel blue masking tape ensures that all your 3D prints from PLA stick perfectly to your printbed! No loosening or warping prints anymore! This Eurocel Blue Masking Tape is an acrylic water based blue tape, which has an excellent adhesion to the (heated) platform of any desktop 3D printer, and your PLA 3D prints will stick very well to the surface of this Eurocel Blue Masking Tape. Still, your PLA printed objects can easily be removed from the this tape. Our Eurocel Blue Masking Tape has a thickness of 0.14mm and it comes in a very convenient width of 50mm. This ensures that taping your print bed with this blue tape is only a matter of seconds. 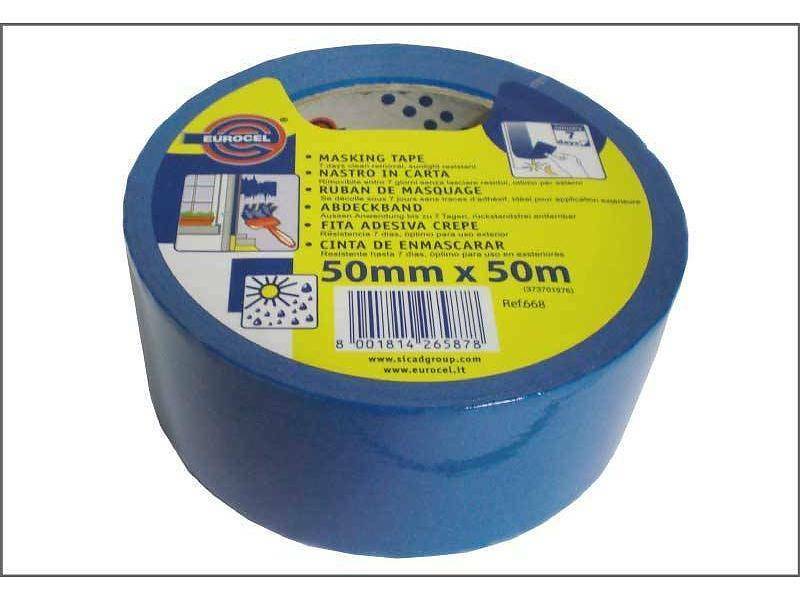 One roll of Eurocel Blue Masking Tape contains 50 metres of tape.